RHP Matt Manning, Detroit’s top draft pick in 2016 (No. 9 overall), has been diagnosed with a low-level oblique strain and will miss the start of the season, the Tigers announced Wednesday. The team said that once healthy, Manning will resume throwing in extended spring training and return to the Midwest League when ready. Manning, Detroit’s No. 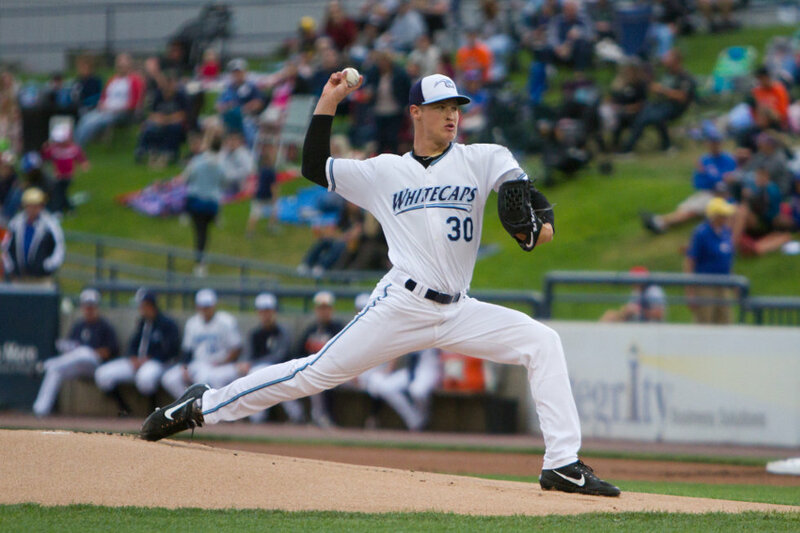 3 prospect, finished last season with the West Michigan Whitecaps. He joined the team in early August after going 2-2 with a 1.89 ERA, 36 strikeouts and 14 walks in 33.1 innings/nine starts for the short-season Connecticut Tigers. He didn’t fare as well with the Whitecaps, going 2-0 with a 5.60 ERA, 26 strikeouts and 11 walks in 17.2 innings/five starts. While noting Manning’s inconsistent results last year, Baseball America projects his ceiling as a front-of-the-rotation ace, or a power reliever if his control and changeup don’t improve as anticipated. The Toronto Blue Jays acquired RHP Sam Gaviglio from the Kansas City Royals in exchange for cash considerations Wednesday. Gaviglio pitched in the Midwest League in 2012, going 9-9 with a 3.92 ERA, 113 strikeouts and 30 walks in 133 innings/23 starts for the Quad Cities River Bandits. This entry was posted in Connecticut Tigers, Midwest League, New York-Penn League, Quad Cities River Bandits, West Michigan Whitecaps. Bookmark the permalink.